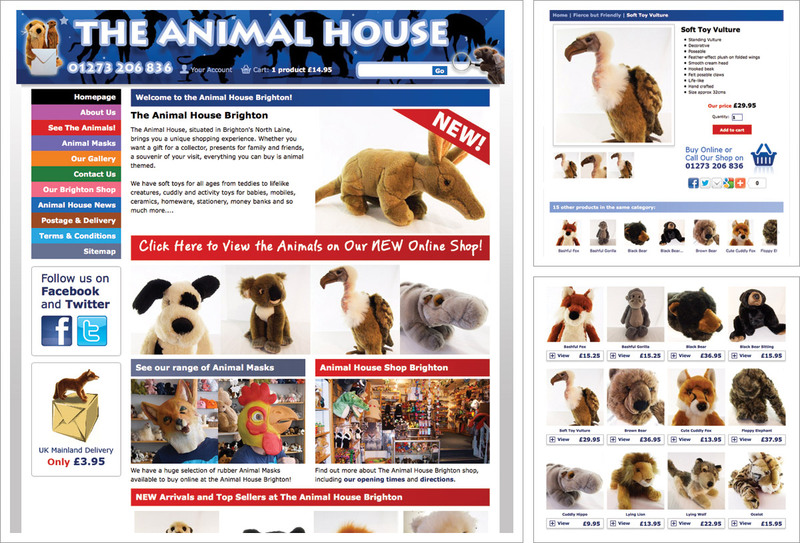 This website was designed for a shop based in the North Laine, Brighton selling animal themed gifts and toys. Animal House wanted to keep the quirky unique feel of the shop in the website. Animal House go e-Commerce! Open 24/7, optimised for search engines and Animal House get to play shop independently, adding new products, managing stock, changing images, price and descriptions and of course shipping sold goods!